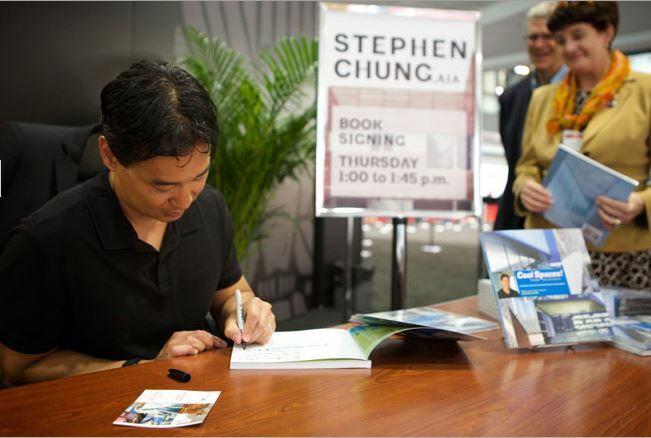 Architect Stephen Chung, star of Cool Places on public television, at a book signing during the AIA convention in Chicago. CHICAGO — At the American Institute of Architects convention in Chicago today, AIA updated seven contract documents in its Design-Build family of sample contracts - including standard language for a subcontractor, and, significantly, fa contract for certification of substantial completion - the point in a project that triggers issuance of final invoices. The American Institute of Architects is gathered in Chicago for its annual convention. In addition to high profile "starchitect" speakers (Chicago architect Jeanne Gang, TV show "Cool Places" architect Steven Chung) and more than 800 exhibitors at the adjoining exhibition in Chicago's McCormick Place. 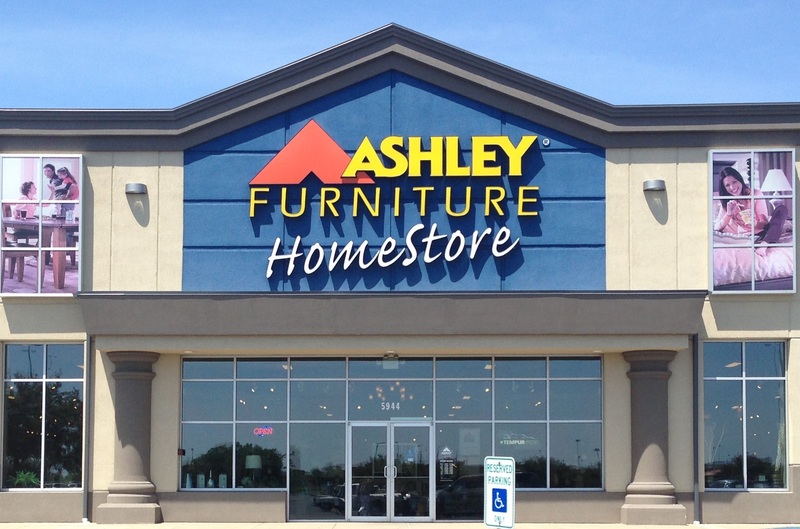 Wood products industry suppliers and manufacturing firms exhibiting include window and door firms Anderson, Marvin and Pella Windows & Doors, Armstrong Ceilings, Boelke Veneer, and Hafele, to name just a few. Subcontractor documents impact construction firms, and the architectural woodworking companies building out interior spaces for them for the architects. Architectural woodworkers, who have a frought relationship with building contractors, frequently complain of delays in receiving payment, sometimes traceable to disagreements on contract language. "The significance of this release cannot be overstated, as these documents are among the most frequently used documents of the entire AIA portfolio and are preferred by the industry at large for use on commercial design-build projects," the AIA said in a statement. The documents were last updated in 2004. “These updated design-build documents strengthen the relationship between the owner and design-builder by fostering greater collaboration and increased communication,” said Deborah DeBernard, VP and GM of AIA Contract Documents at the American Institute of Architects. 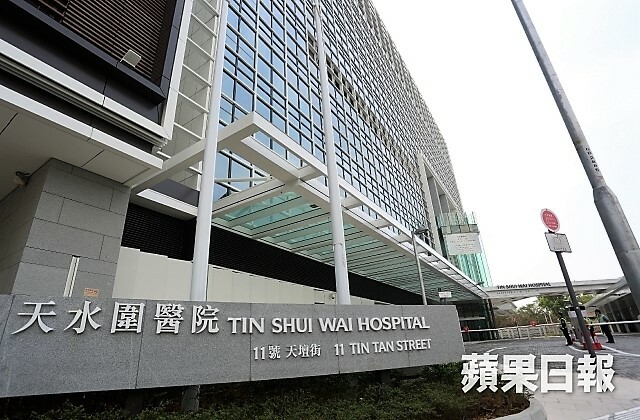 Other changes include updated insurance provisions that are consistent with current industry terminology and practices, and a sustainable project exhibit, which can be used if the owner has identified a sustainable objective as part of the owner’s criteria. The updated Design-Build documents are available in the latest version of the AIA Contract Documents desktop software, and online through AIA Documents-on-Demand. Separately, popular home interior design website Houzz said during the convention that it entered a strategic partnership with the American Institute of Architects to develop technology initiatives for architects and to increase public awareness and appreciation of architecture. AIA also announced the May 2014 Architectural Billings Index, which showed improvement in projects in development.